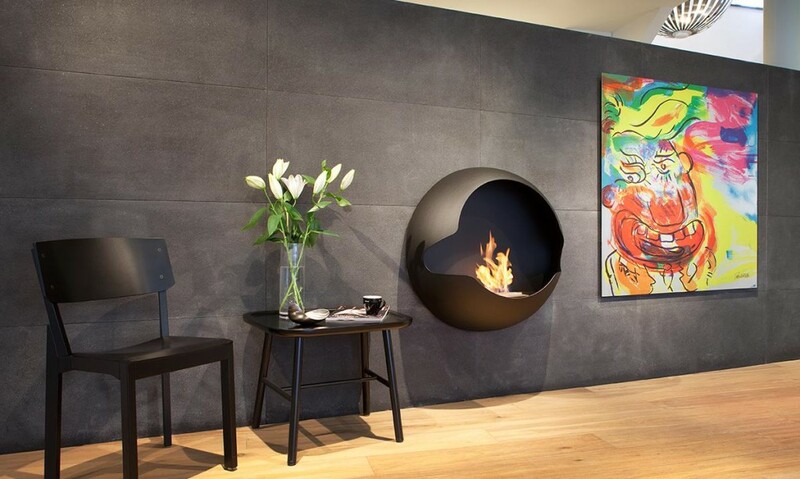 Cupola bio fireplace by Swedish brand Vauni is tasteful way to change your living room into cosy and modern interior. The biggest advantage of the model Cupola is undoubtedly classic and clear design. Bio fireplace is extraordinarily compact, it is easy to mount it on the wall, like flat screen TV. The characteristic profile made of soft aluminium will become modern decoration in your interior. Bio fireplace gives new possibilities to decor your house. As with other bio fireplaces by Vauni, Cupola is equipped in advanced, adjustable ethanol fuel tank. Due to it, we can enjoy dormant flame, safely and without problems. Cupola is the only one bio fireplaces in the world, that has the shape of hemisphere with the bioethanol burner. This is undoubtedly the unique feature. 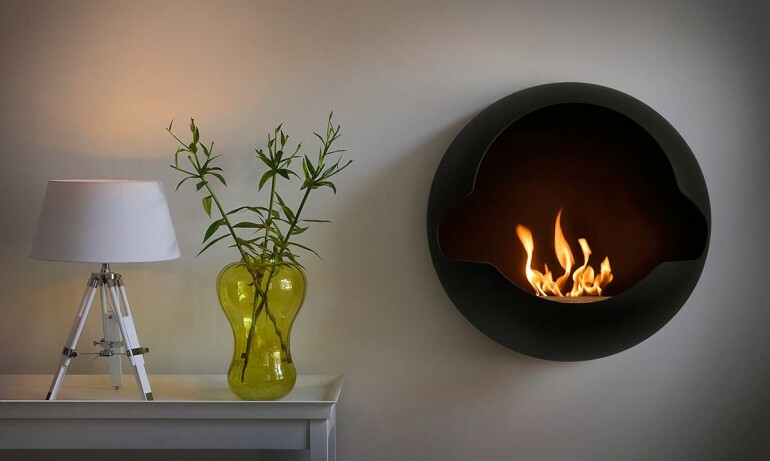 The another one is that bio fireplace does not produce exhaust fumes, and flame coming from the inside is automatically regulated – it adapts to the interior. It is very easy to mount the device. Available colours: black, white, red, grey, cyan and many others. The dimensions are as following: diameter 810 mm, depth 350 mm. The weight – up to 27 kg. Fuel tank capacity – 2 L, burning time – at least 5 hours. 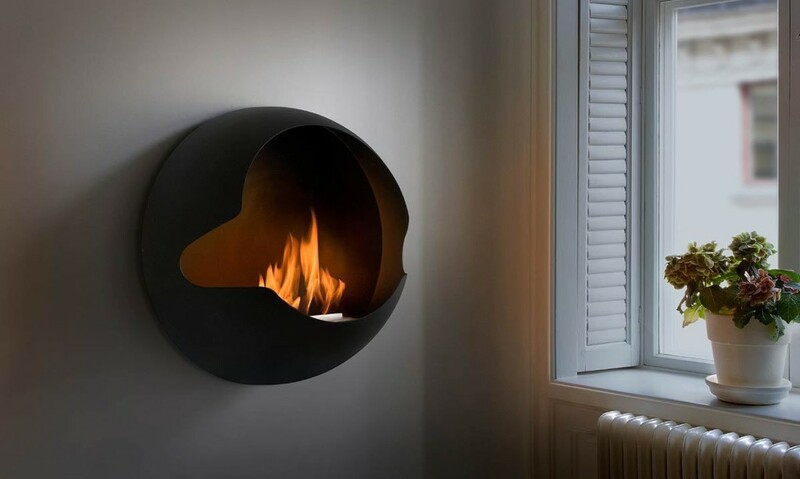 Regardless of the fact, is bio fireplaces on fire or not – it always looks beautiful, like modern sculpture. Who do not want to warm up near the flames of this wonderful work of art?